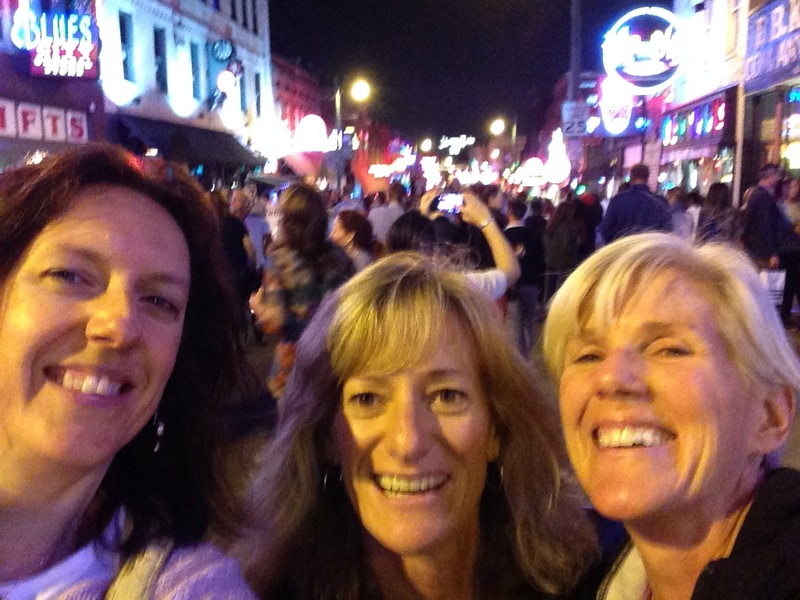 Today we’d like to introduce you to Dawn Spolidoro, RN. Dawn, let’s start with your story. We’d love to hear how you got started and how the journey has been so far. I’ve been a registered nurse since 1987 and during that time I’ve worked in a hospital, as a visiting nurse, I’ve also worked in a doctor’s office & now I work from home. I have been married for 29 years, have three children, and 2 grandchildren. I never really enjoyed working in a hospital because there was never enough time to spend with my patients. I then started working as a visiting nurse while I raised my children because it was flexible enough to fit into our lives. I enjoyed that & thought I would retire from visiting nursing, but I spent more time on the paperwork then I did with my patients & that wasn’t fulfilling. In 2010 a friend introduced me to The Juice Plus+ Company & it made sense to me because I knew my family wasn’t getting enough fruits & vegetables in our diets every day and we were constantly at the doctors. The business made sense because of its flexibility and it fit perfectly into our busy lives, plus I could earn some money to cover the cost of our families Juice Plus+. Then I thought if it made sense to me, then it will make sense for other families and I started spreading the word. I also started going to Juice Plus+ educational events to find out more about it seeing it was now my business venture. I fell in love with the information I was hearing, I loved the people I met and the culture of the company. The rest is history because now I’ve made it my career to align myself with The Juice Plus+ Company & use their products as a vehicle to help as many people as I can with their health issues & also their financial issues. This company is like no other network marketing company out there. I’m so glad that I have a business that is foundational because everyone needs to take control of their health at some point in their lives. There are 2 quotes that I love, “If you don’t take care of your body where else are you going to live?” and “If your lifestyle doesn’t control your body, eventually your body will control your lifestyle.” These quotes are short sweet and to the point. In today’s world everyone is extremely busy, and our economy is very challenging. Many people are searching for a plan B because plan A isn’t allowing people to enjoy life like they hoped to. The Juice Plus+ Company does that by helping as many people as possible realize their dreams and this mission is what inspires me every day to change lives for the better. No, it hasn’t been a smooth road but most things in life that are worthwhile usually challenge us. When I first learned about Juice Plus+ ten years ago it made perfect sense to me because I knew my family was not getting enough fruits & vegetables every day. I’ve always wanted to own my own business, so I jumped on board as a consultant for The Juice Plus+ Company. What I didn’t realize was that most people don’t understand the need to take care of themselves BEFORE a chronic illness shows up. It’s all about PREVENTION and most people are so busy that they don’t have time to think about the things they can do to prevent a chronic illness in the future. That’s where I come in to help them. Even though I had always wanted to own my own business I had no business background whatso ever. Because I knew that this was a weakness of mine I joined a business networking group in 2010. It was the best thing I did because it helped me to build confidence in myself so that I can pass on what I’ve learned to others who join my team and start their own Juice Plus+ business. When you surround yourself with other business owners you learn new things, try new things and learn from our mistakes. I’m still part of that group today which has served me well. 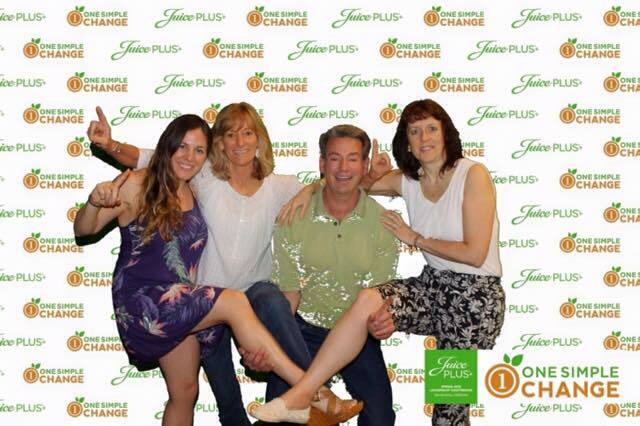 I’m a network marketing professional, a registered nurse, and an independent consultant for The Juice Plus+ Company. 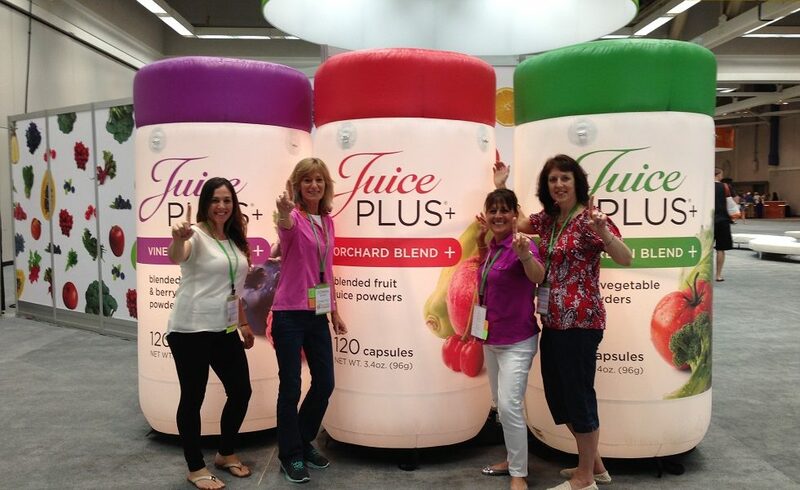 The Juice Plus+ Company makes whole food nutritional products for the entire family that come in capsules or chewable. They also have protein powders and bars. They even have a Tower Garden that allows people to grow their own food. 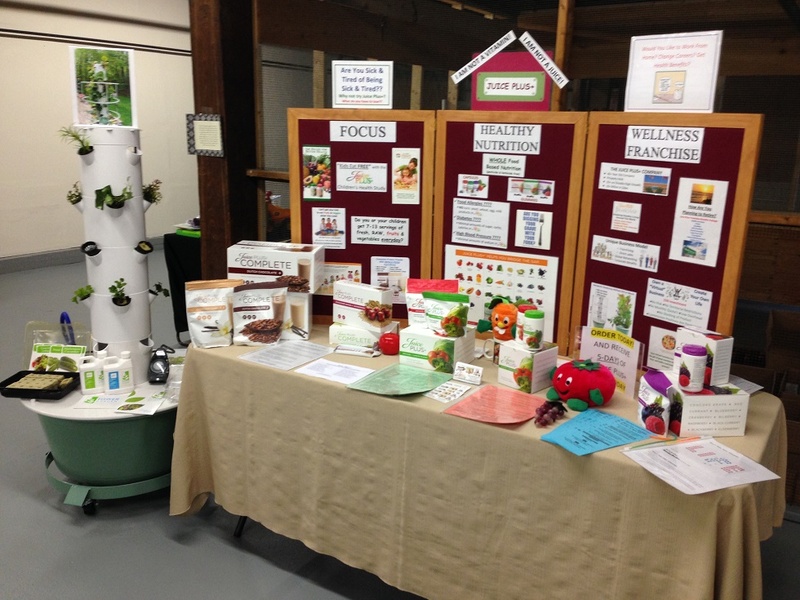 The produce used in the Juice Plus+ produce are non-GMO & no pesticides or herbicides are used. 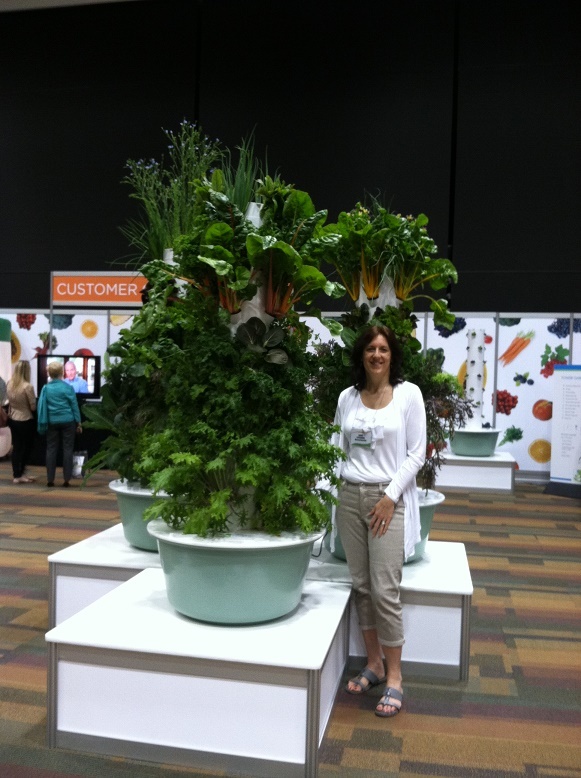 I specialize in nutrition & educate people on the health benefits of eating more plants. I attend seminar’s & conferences throughout the year to keep up with the latest research & health benefits of adding more fruits & vegetables to our diets. I meet with businesses, healthcare providers and individuals who are looking to add a whole food nutritional product to their diet and/or their practice that add a health component & a second stream of income to their business or home. This opportunity is also perfect for stay at home moms who are health minded & are looking for a way to get more fruits & vegetables into their kids. The Juice Plus+ Company also has a Children’s Health Study program where kids can get Juice Plus+ for FREE. 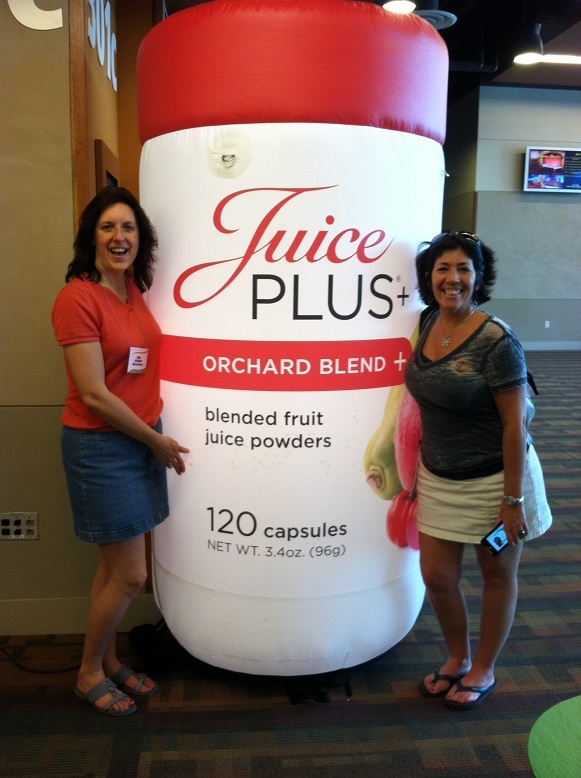 The company is truly investing in our children’s well-being by giving them Juice Plus+ through this program. I’m most proud to be associated with The Juice Plus+ Company because our mission is to Inspire Healthy Living around the world. I’m so excited to be part of this mission because people have so much more control over their health then they realize. The current research is telling us that we can control our health outcome depending on how well we take care of our bodies. The Juice Plus+ products are convenient fuel for our bodies that guarantee a variety of over 30 plants. Our company has also started a Healthy Living Revolution campaign that allows us to get the word out to as many people as possible about our mission and our whole food nutritional products. You won’t find anything about Juice Plus+ advertised on tv or in magazines because our business is based on forming relationships, getting to know people, and helping them on their health journey. There are many qualities that set me apart from others but the top three would be my nursing background, my common-sense approach to nutrition, and a desire to learn. I feel as though I can relate to anyone’s health situation because of my background and the experiences I’ve faced & will continue to face with my own health journey. We are always molding our journey around the latest research as to how we can best take care of our bodies so that we can live life to the fullest. All my experiences over the years have given me the skills to help people on a higher level. I’m a good listener & I always try to put myself in the other person’s shoes. Every client is on a different health journey & I’m there to meet them where they are at. Some people are just starting out & some have been doing it for a while. I also think my non-judgmental attitude comes in handy when people are sharing what they need help with in terms of their health. I absolutely love my business because I’m so passionate about sharing what I have learned over the years with others, so they can share the information with their friends & family. That’s how we keep this Healthy Revolution campaign going so that more & more adults & children live healthy lives. I think the best word that describes why I’ve been successful is… perseverance. The definition for perseverance is steadfastness in doing something despite difficulty or delay in achieving success. This definition sums up my story very well because once I commit to something I never give up. I went to nursing school which wasn’t easy, but I stuck with it & graduated. I raised 3 children which had its ups & downs and now I have 3 very successful adult children that I’m very proud of. Then there is my business which is challenging because of the struggles I spoke of earlier and very rewarding because I’m making a difference in other people’s lives when it comes to their health & their family’s health. That in of itself is the greatest success of all ~ helping others, it’s in my blood, it’s my passion. that’s why I became a nurse in the first place.